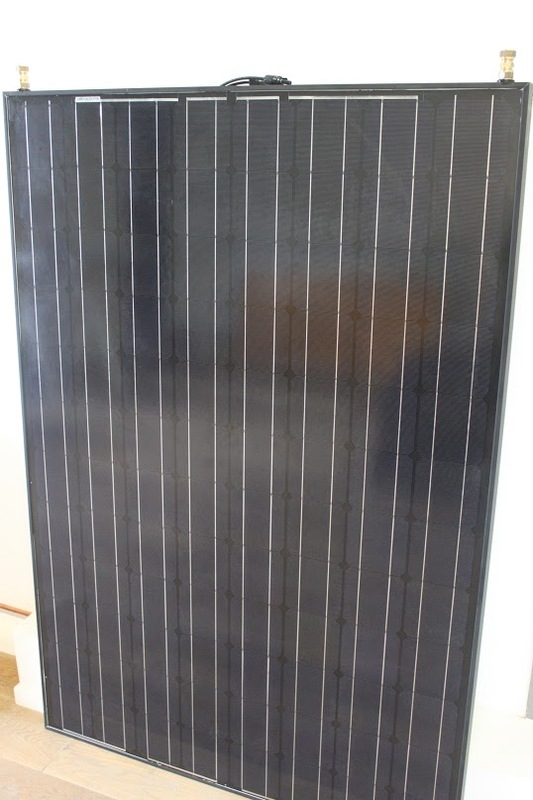 PVT-Technologie: the monocrystalline photovoltaik (PV) combines solar electricity and highly efficient solar warmth generation (T). 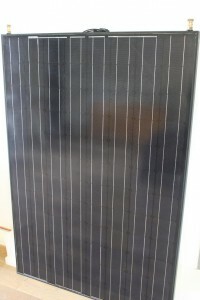 This simple low-cost solution supports the zero-energy-home policy of the government - and that at the lowest possible maintnance cost..
Higher efficiency at lower temperatures if compared with similar monocrystalline PV modules..
Space-saving, as only one solar collector is required, to produce warmth and electricity at the same time. 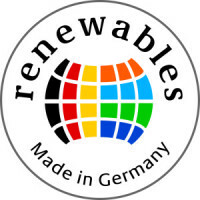 The greatly improved payback period is usually less than six years, if the feed-in tariff, the current government aid for the production of thermal energy from renewable resources and the power savings - and heating savings are taken into consideration. 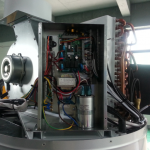 Low running cost and , unlike heat pumps, wind turbines or other renewable sources of energy, these PVT modules are virtually maintenance free. Mit diesen PVT Sonnenkollektoren können die meisten Wohn- and company buildings can become “Zero-Energy-Buildings” quite easily. PVT sun collectors (hybride) are only on epart of a successful team. They still need a good partner. Find out, who that is and why it is a perfect team when they play together. Our hybrid (PVT) solarsystem replaces the heating completely. On various installations, this was proofed successfully. If your heating is defect, start also thinking about a hybrid solar system. And read our Guide: What to do, if you need a new heating? Was ist ein PVT Sonnenkollektor (hybride)? 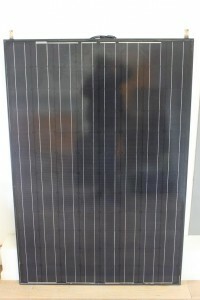 A PVT-Collector is the combination of a photovoltaic module (PV) – for the generation of electric power from sun light - with a thermal module (T) for the conversion of thermal heat to hot water as use water or heating. Photovoltaics (PV) as semiconductors have one drawback: The output drops with the increase of heat. During a sunny midsummer day in Germany , if you would expect, to achieve peak output, the efficiency of the PV module drops, as these do not work efficiently at temperatures above 80° C. If above that temperature, average PV modules only work at about 75% of their optimal efficiency. Bei PVT-Modulen reduziert die Thermo einheit die Arbeitstemperatur der Photovoltaikelemente und wirkt so als “liquid cooling system”. As a result, a well-balanced production of photovoltaic - and heat output can be achieved. 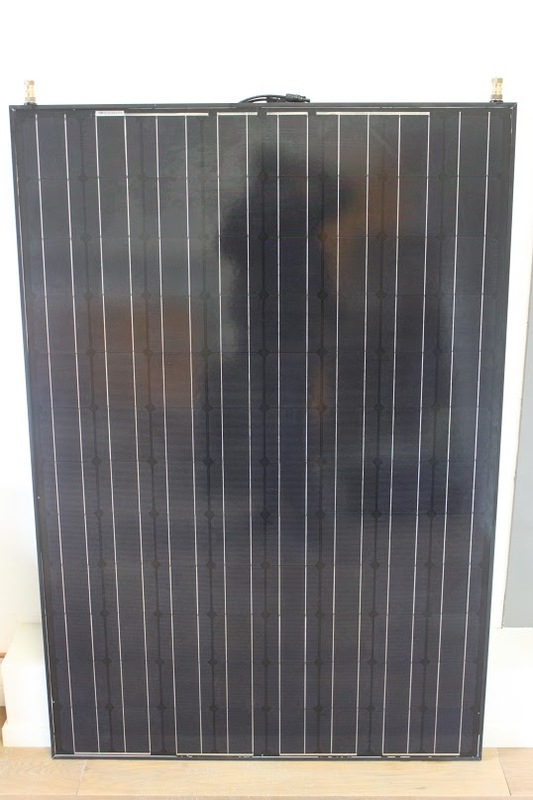 This principle facilitates, an amazing 20% higher electrical output if compared to standard mono crystalline PV modules – and on top you get enough warm water at no extra cost, to cover the annual requirement in a low energy home . 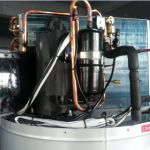 The warm water air heat pump solar boiler is one of the most economicals systems for the warming of water in the household of a house- or apartment building. With freely available renewable energies from the sun, the device is highly efficient and that at very low operating cost. 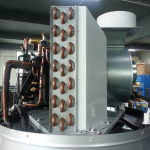 Its efficiency makes it possible to produce 3 – 4 times more heat than a standard gas or electrical heating . Waste Heat Recovery – These devices can be well installed in warm rooms such as e. g. near the kitchen, in a storage room or in the garage. Every room has a lot of waste heat, so that the use of that heat can also achieve a much higher energy efficiency especially at low outside temperatures in winter. Dehumidification of Rooms – The warm water air heat pump can also be used for the dehumidification of a room. 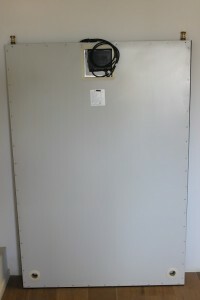 Therefore, the device can be well installed in a laundry room or in a walk-in closet. If warm water is produced, the temperature is reduced and by that the room becomes dehumidified.. The advantages become especially apparent during the humid seasons of the year.. 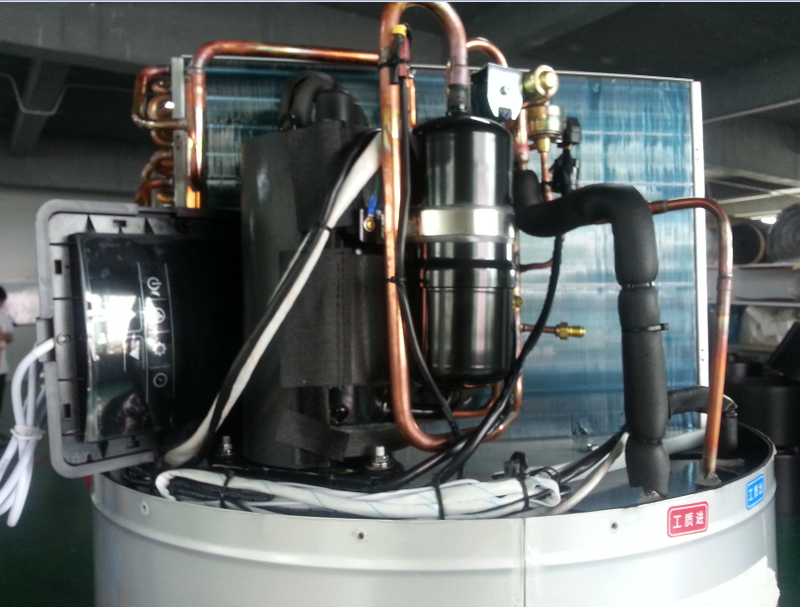 Hot water and fresh air ventilation – These devices can produce cool fresh air, if hot water is produced. This cooling air can be directed to any room. 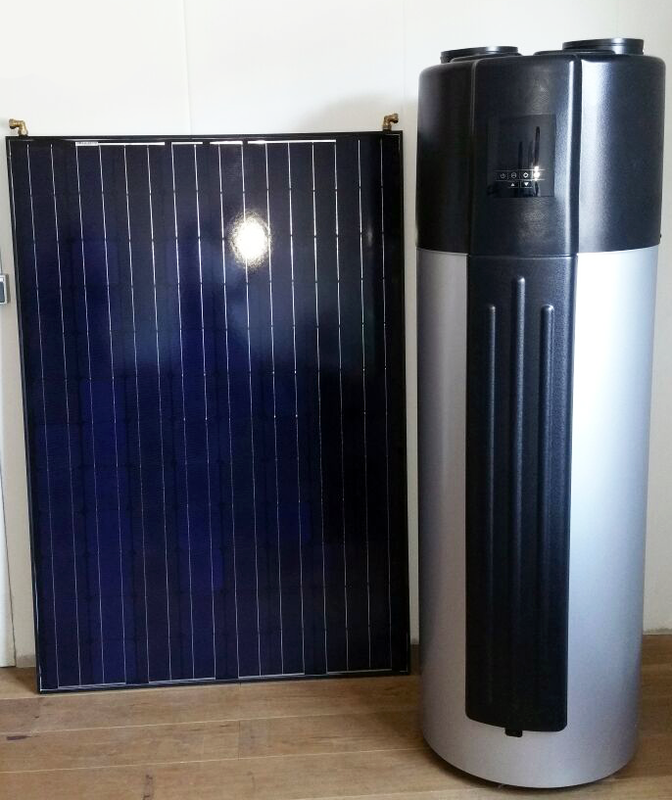 Compatible with different energy sources – Our devices are compatible with PVT sun collectors, external heat pumps, boilers or other, alternative energy sources. Ecological and Economical Heating – Our devices are the most efficient and cost effective alternative to fossil boilers and general heating systems. By using the renewable energy of the sun our system requires much less energy. Compact Design – Our devices have been constructed especially for the the warm water requirements of families.. Its compact shape and the elegant design are also usable for the living area.. Multiple Functions – The specific design of air in- and output allows a wide array of connections. 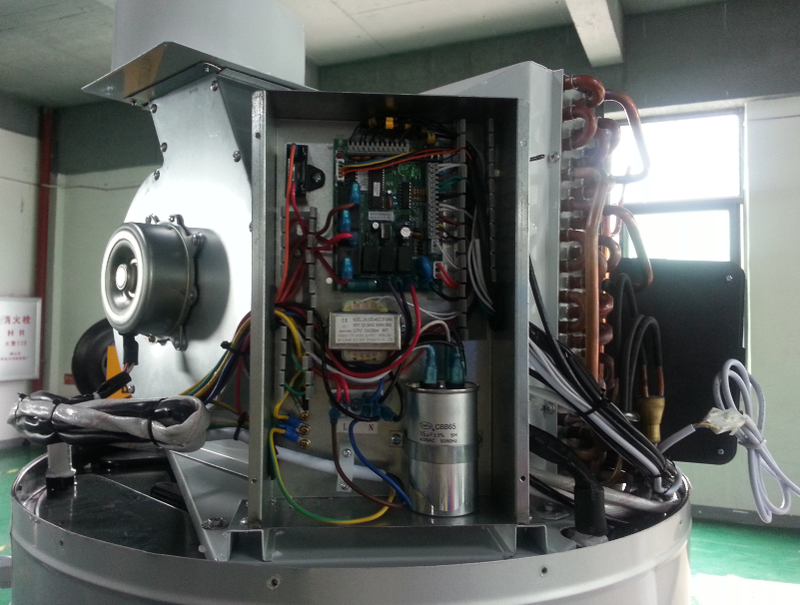 Through different types of installation you can use the device not only as heat pump, but also as a fresh air blower., a dehumidifier or an energy recovery unit. Other features – A long life of the devices is guaranteed through a stainless steel tank and a magnesia stick. 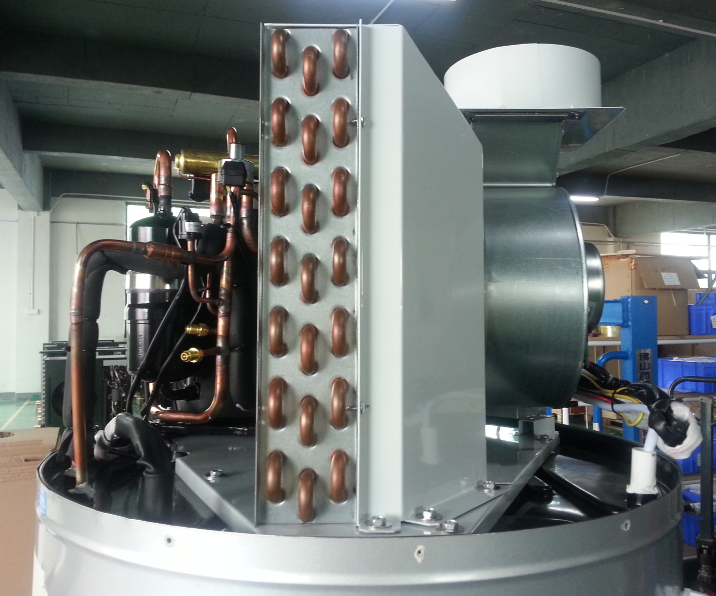 The highly efficient compressor uses cooling liquid R134a. The electrical element serves as a back-up, it guarantees a constant production of warm water also during very cold winters. .
We want to use the sun's power even more using ingenious solar technology, to maintain our environment and thus make the world even more liveable. Especially for our children and their children. So that their lives are still worth living. And all this with a WIN-WIN-WIN situation. Almost all products have a warranty from the manufacturer….